Ms. 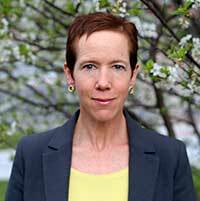 Page joined Berkey Williams LLP in 2007 after practicing federal Indian law and international indigenous rights law for nine years with a nonprofit Indian law organization in Washington, D.C.
Ms. Page’s practice focuses on land recovery; protection of Indian Nation sovereignty and cultural and environmental resources; strengthening Indian governments; and conducting Nation to Nation relations with the United States. She has represented Indian Nations in federal and state litigation; international tribunals; multi-party negotiations with local, state, and federal governments; and in state and federal rulemaking processes and administrative bodies. Her work includes international legal advocacy for indigenous peoples and incorporates principles of international human rights law into domestic advocacy for Indian Nations. Ms. Page received her J.D. with honors from the University of Chicago Law School, and her B.A. from Williams College. Ms. Page is admitted to practice in the District of Columbia.